Proper maintenance is a key factor in keeping your family safe and comfortable during our long Wisconsin winters. Chimneys and fireplaces keep us warm; however, without proper care and maintenance they can become hazardous. The professional Milwaukee chimney sweeps at Wisconsin Chimney Technicians offer the best maintenance tips to keep your chimney operating to the highest standard. 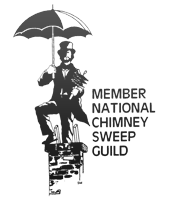 Our chimney sweep specialists have been providing superior chimney services for over 30 years. From cleaning to inspections to repair, Wisconsin Chimney Technicians provides thorough comprehensive services to keep your chimney in top condition. 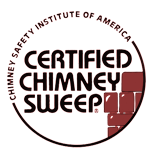 With CISA certification and ongoing training, our Milwaukee chimney sweep specialists are your source for the best chimney care expertise. 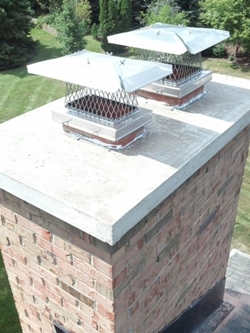 The best way to ensure your chimney is working correctly is with a thorough Milwaukee chimney inspection. Chimney inspections catch any issues a chimney is experiencing and allow professional chimney sweeps, like those at Wisconsin Chimney Technicians, to perform the necessary cleaning and repairs. No matter what type of fireplace or chimney you have, you need to schedule an inspection at least once a year. The National Fire Protection Act highly recommends annual chimney inspections to prevent health hazards, injury or even death. Chimney inspections catch a variety of issues from poor workmanship and construction to the need for cleaning. There are 3 levels of inspections, with 1 being the typical inspection and 3 being the most in depth and disruptive. Level 1 requires a CSIA certified chimney sweep professional to provide an overall, general inspection around the fireplace and through the chimney. Level 2 is a more in depth chimney inspection best for times there were structural changes to the chimney. Level 3 is extremely in depth and destructive, best saved for times there is heavy damage like a chimney fire. Preventing issues before they become worse is a great way to keep your chimney in top condition. Milwaukee chimney inspections from our certified chimney sweeps are thorough and uncover any issue your chimney may have. Our chimney maintenance will last, whereas a roofer provides a completely different service. Schedule your annual chimney inspection with our expert Wisconsin chimney sweeps. Chimneys are a great way to keep our homes warm throughout the cold season; however, chimney use requires a Milwaukee chimney cleaning at least once a year. When you use your chimney, the fire in your fireplace produces by products which can be harmful if not taken care of. Creosote and soot build up in the chimney, and if left untouched this layer can cause harmful gases to vent into your home. Creosote is also highly flammable and is often the cause of chimney fires. The built up layer of creosote can even eventually damage the entire interior of the chimney if left untouched. The best way to keep your chimney performing well and safely is to keep it clean. Scheduling a yearly chimney cleaning with Wisconsin Chimney Technicians is the best way to ensure your chimney is working correctly and free of buildup. Our Milwaukee chimney professionals offer superior cleaning services to remove creosote, soot and accumulated debris from the chimney. We have years of experience to provide the highest quality and most thorough chimney cleaning service. If not taken care of early on, water damage can compromise the entire infrastructure of the chimney. 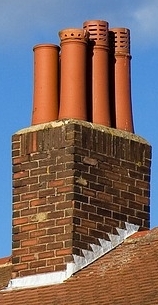 Chimneys are constructed with materials which don’t hold up well through continual rain and snow. Preventative maintenance is the key to keeping your chimney structure strong and intact. Milwaukee chimney chase covers and leak repair from our superior chimney sweep specialists will prevent further water damage and ensure existing damage does not become worse. Chimney tops and caps are a great solution to keep rain out of your chimney and they also deter potential pests like birds, squirrels and raccoons. Keeping your chimney well maintained through inspection and leak repair from our Milwaukee chimney sweeps will ensure your chimney structures stands tall for many years to come. Apart from keeping up with professional Milwaukee chimney maintenance, there are simple ways you, the homeowner, can keep your chimney running well and efficiently. A key element to an efficient chimney fire is to make one which burns very hot. The hotter the fire, the less creosote builds up and fewer emissions are produced. It is important to use wood which has been seasoned (dried) for at least a year. Hard types of wood like maple, oak, beech and ash also burn better and more efficiently. When you’re ready to extinguish the fire, never put out a fire with water. Water mixes with soot and makes it very hard to clean. Following these simple tips can both lighten continued professional chimney maintenance and help you get the most out of your fireplace. Continued maintenance from our expert Milwaukee chimney sweep specialists in tandem with efficient fireplace use will ensure your chimney and fireplace provide top performance for many winters to come. Contact our Milwaukee chimney sweep specialists for comprehensive cleaning and inspection to keep your chimney well maintained.